I had been meaning to visit the N3331 Café since I heard about it on Merry Witch’s blog. I nearly had a chance to go with the Southern Barbarian but we were too early to go in. I had another chance on a cool spring afternoon as I had time to kill before I was to have dinner with my family. I was a bit tired when I entered and the café was nearly empty. Mind you it was around 4pm on a weekday, between the lunch and dinner crowds. I think the restaurant is a bit busier during the peak times but I couldn’t help but wonder how they are making money in the small café when it was deserted in the afternoon. My overall impression is that it is a good café and I hope they can keep going but it is one of those places where I worry that they won’t be open for a very long time unless they figure out a way to get more patrons into the shop. 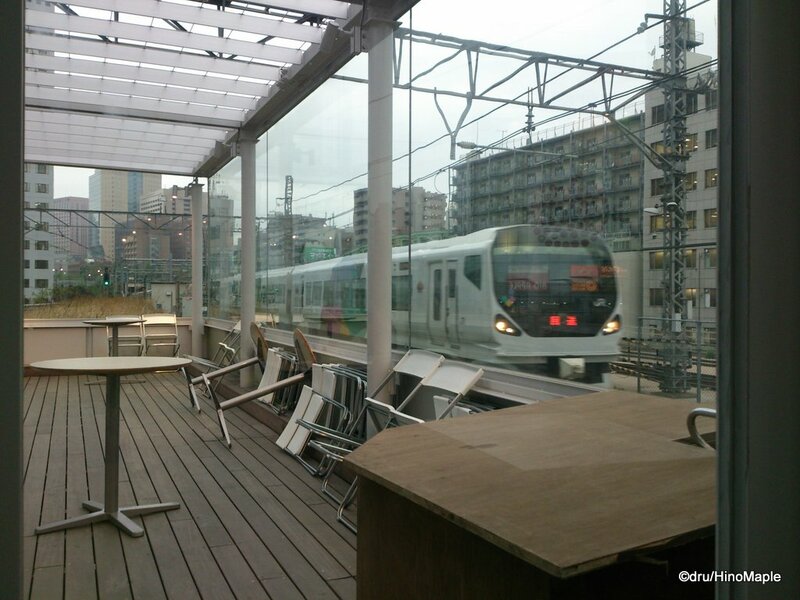 The café is located in Mansaebashi Station, an old station that has been converted into a shopping complex. It is a nice place and I had been able to see the outside beforehand. The café is located on the old station platform, between the existing Chuo Line tracks. When you go to the café and enjoy a drink or two, you can enjoy watching all of the different trains passing through. You can see the typical orange Chuo Line trains but you can also see some of the express trains passing through from time to time. The café itself is pretty small but it is very homey. The decor is all new but the seats felt a little dirty. The seat covers they used seems to attract dirt rather than keeping it away but the seats were still pretty comfortable. The prices of the café were a bit steep when compared to Doutor but you often pay for good quality products. 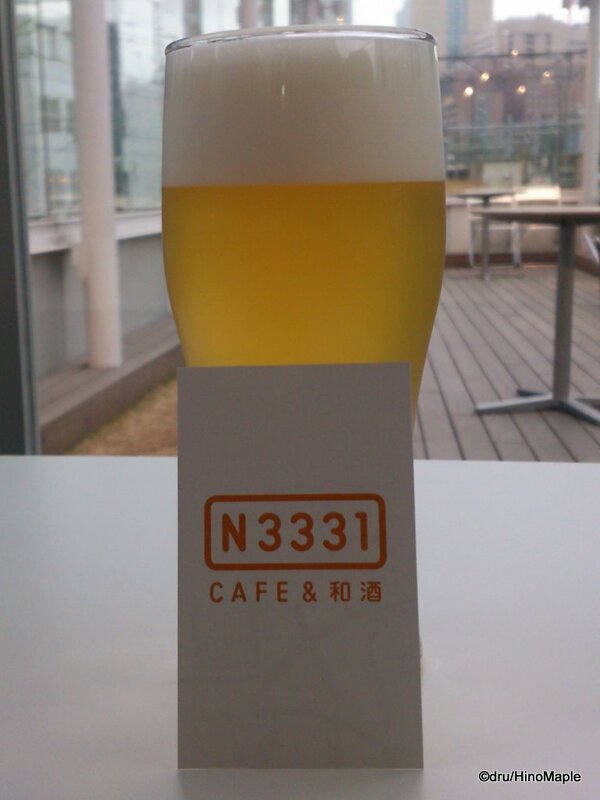 Thankfully N3331 does have good quality to their products and I wouldn’t mind spending a bit of time in the café. If you consider the view of the train tracks as part of the price, then the prices aren’t bad at all. If it was a regular café on street level, I doubt I would return. I still want to return someday and try out their sandwiches for lunch. If you are interested, you can also rent out the entire area for a wedding party, but I doubt I’ll be doing that anytime soon. This entry was posted in Tokyo Food and tagged Akihabara, beer, cafe, ecute, Hakkaisan, Hakkaisan Beer, japan, Kanda, mAAch, mAAch ecute, Manseibashi, Manseibashi Station, N3331, N3331 Cafe, Ochanomizu, tokyo by Dru. Bookmark the permalink. I’m glad you finally went to the cafe. Like you said, I hope they can keep their business going all right. Did you like Hakkaisan beer? Or do you like their sake better? I did have the Hakkaisan beer. Their sake is better, I’m afraid to say. It depends on your mood, but the Hakkaisan was too flavourless for me. I need more flavour. Not bad for summer as a refreshing beer though.